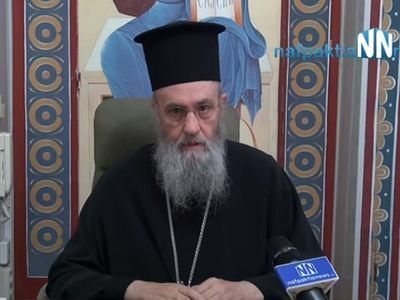 Recently the Athenian Orthodox newspaper “Orthodox Typos” published the main theses of the hierarch of the Greek Church Metropolitan Heirotheos of Nafpaktos’ presentation during his visit to Romania. Vladyka underlined that the Church needs first not diplomats but theologians, whose views are the fruit of the experiences of their spiritual lives. Vladyka stressed that Orthodox Christians should not go into schism or cease commemorating their hierarchs. 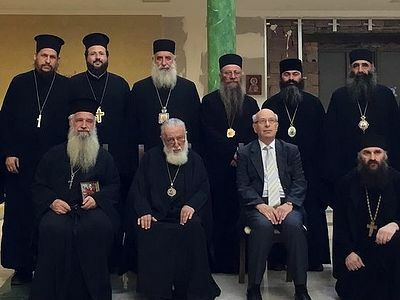 The way out of the situation, in Metropolitan Hierotheos’ opinion, is perhaps to hold a “Great Council,” which would give a theological interpretation and refinement to the documents accepted at Crete. Nafpaktian News interviewed Metropolitan Hierotheos of Nafpaktos at the Metropolis of Nafpaktos on July 4, 2016 regarding his impressions of the Holy and Great Synod. Summarized highlights from the interview are provided. 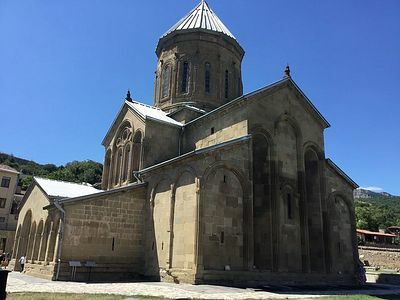 The above commenter's need to read Panagiotis M's critique of old calendarism and schism-as-remedy for ecumenism on this site. The Church does not need more "Great Councils" of the last popish, robber variety, which are called to figure out how to foist innovation on the Church. The next True Council needs to be held to condemn the pan-heresy of ecumenism between Orthodox and non-Orthodox once and for all. Appears Hierotheos is caving into the Phanar's latest threats of defrocking all who disagree with their heresy. Vladyka stressed that Orthodox Christians should not go into schism or cease commemorating their hierarchs. They should stop commemorating them if their hierarchs are ecumenist shills leading them to perdition. And find a jurisdiction or Church that remains true to the Church. Met Hierotheos needs to be a lot clearer and firmer in his stance. Disappointing to read.